What sort of connection will I need? The app will work over a 3G cellular connection, but a broadband Wi-Fi or 4G connection is recommended for the optimal experience. 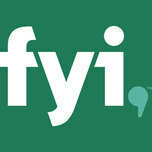 What countries are able to use the FYI app?